January 14, 2019, 6:00 p.m. Many a person has “left their heart in San Francisco,” but it takes more than love to live in the foggy city. It takes money — lots of it. For the second year in a row, San Francisco is the city where residents are most likely to report a high cost of living. 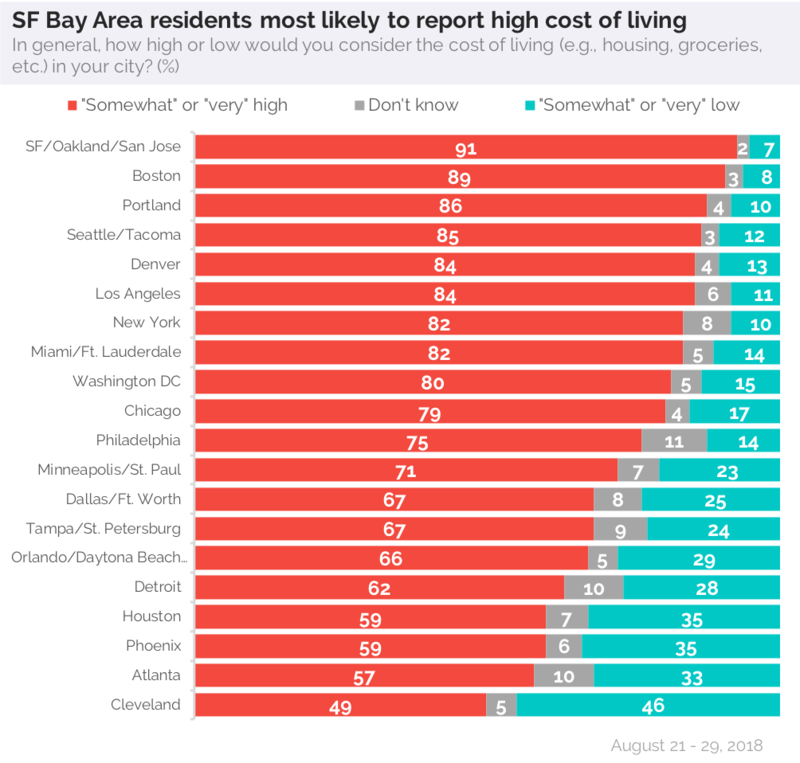 Data from YouGov Omnibus’ Citybus survey finds an overwhelming majority (91%) of residents say that the cost of living is high in the Bay Area, with six in ten people (62%) characterizing it as “very high." According to real estate company Zillow, the average rent for a two-bedroom apartment in San Francisco is $4,181, while the median sale price for a two-bedroom home is slightly over $1.3 million. In surrounding cities like Oakland and San Jose, prices are slightly lower: it costs $2,945 to rent a two-bedroom in Oakland, and $2,914 for the same setup in San Jose. Boston (89%) is another city where residents are especially likely to say the cost of living is high. The Pacific Northwest’s major cities, Portland (86%) and Seattle (85%) are also likely to say the cost of living is high in their respective areas. The data suggests that majorities in 19 out of 20 cities consider their cost of living to be high. The lone exception is Cleveland, where 49% of residents say the cost of living is high, while 46% say it is low. The average cost to rent a two-bedroom home in Cleveland is $846 — more than $3,000 less per month than renters can expect to spend for similar accommodations in San Francisco. Though majorities in most cities are more likely to say the cost of living is high rather than low, YouGov’s data finds that roughly one-third of residents in Atlanta (33%), Houston (35%), and Phoenix (35%) say the cost of living is somewhat or very low. Overall, only 2% of people who took this survey in various cities across the nation say the cost of living in their area is “very low,” while 31% overall say the cost of living in their area is “somewhat low." 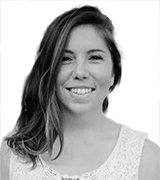 Learn more about YouGov Omnibus and read what these residents have to say about winter weather and schools in their cities.